It's Thanksgiving Eve! 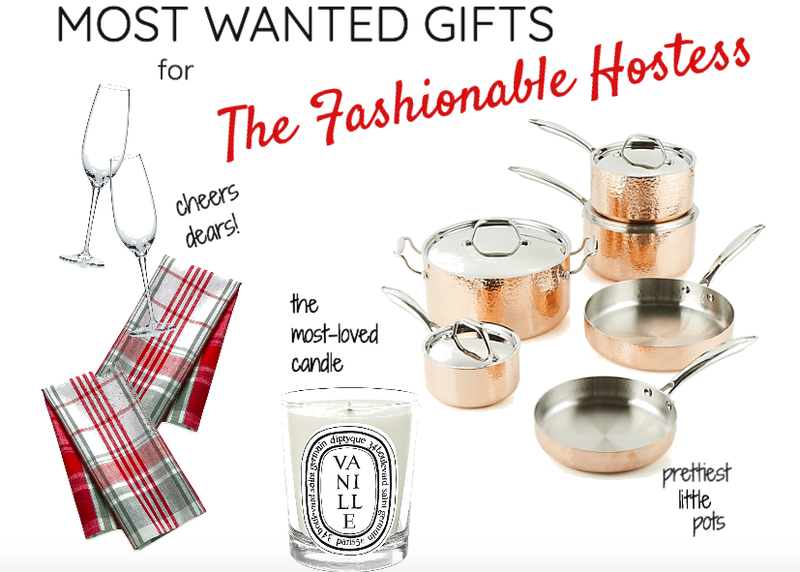 And with that who couldn't use some chic little gift ideas for the fashionable hostess in their life? Today's gift guide is designed to surprise and delight the baker, cocktail maker and cheffets you know and love. 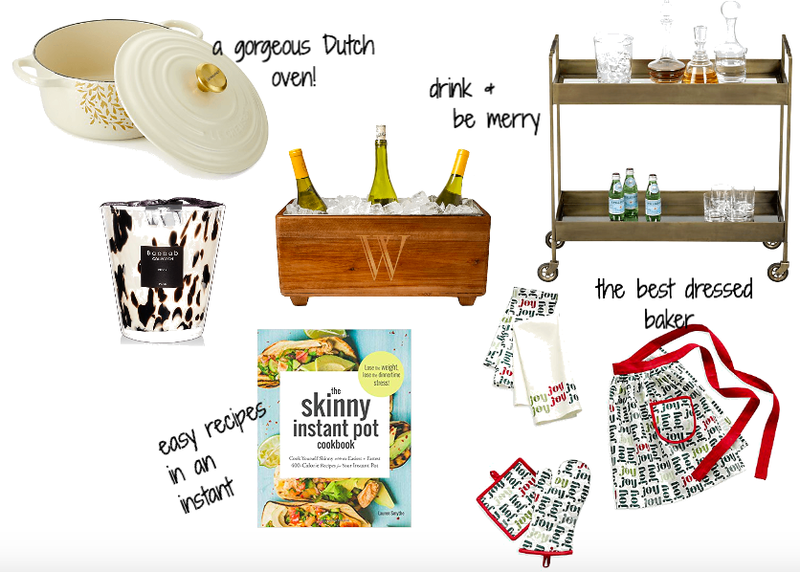 I know the hostess in me who love any one of these great gifts. From this gorgeous Dutch oven (perfect for hot holiday sides and keep warm dishes) to this sweet apron set your pretty pick will not go wrong (or unused!). What's everyone have planned for Thanksgiving? I am excited to be spending the day and the long weekend with sweet family and friends. No matter where your travels take you, I wish you a fun, festive (and delicious!) Thanksgiving. Oh and be sure to check back on Friday for my links to the best of the Black Friday sales!